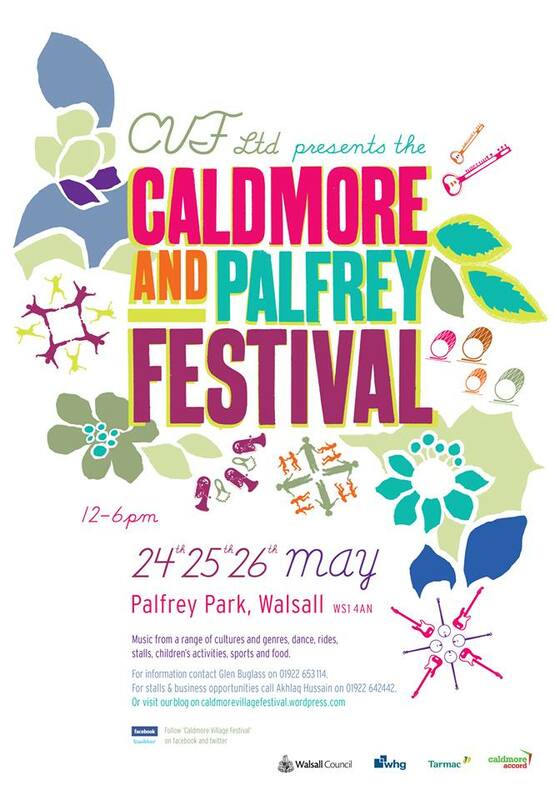 Caldmore and Palfrey Festival this weekend! A fine event – let’s ope the weather is as kind a last year. You folks all know me well enough by now to see that I think it’s really important we get behind stuff that bonds us good folk and our communities together. 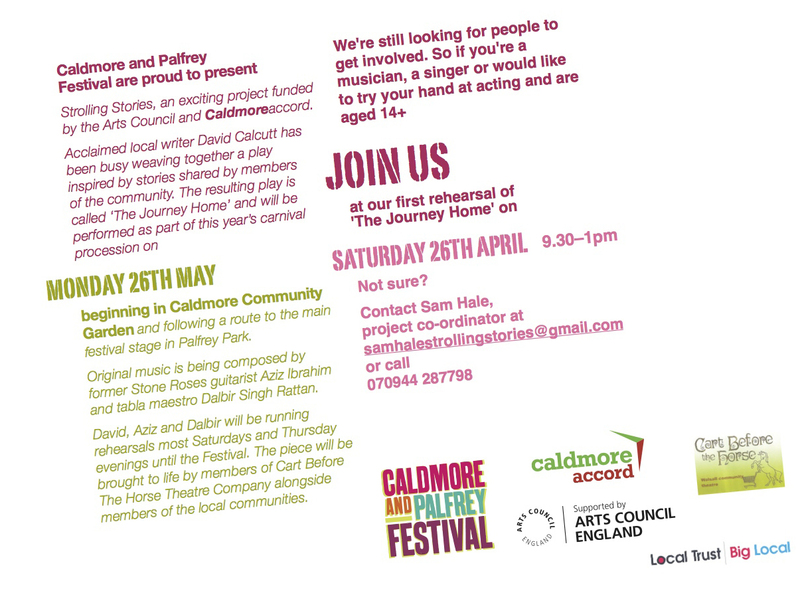 One such event is the Caldmore and Palfrey Festival. It’s been running for a good few years now (formerly the Caldmore Village Festival) and it just gets better and better – and nothing tells those that would divide and harm us ‘Up yours!’ more assertively that getting together and having a good time. This event takes place all this weekend from Saturday through until Monday night. 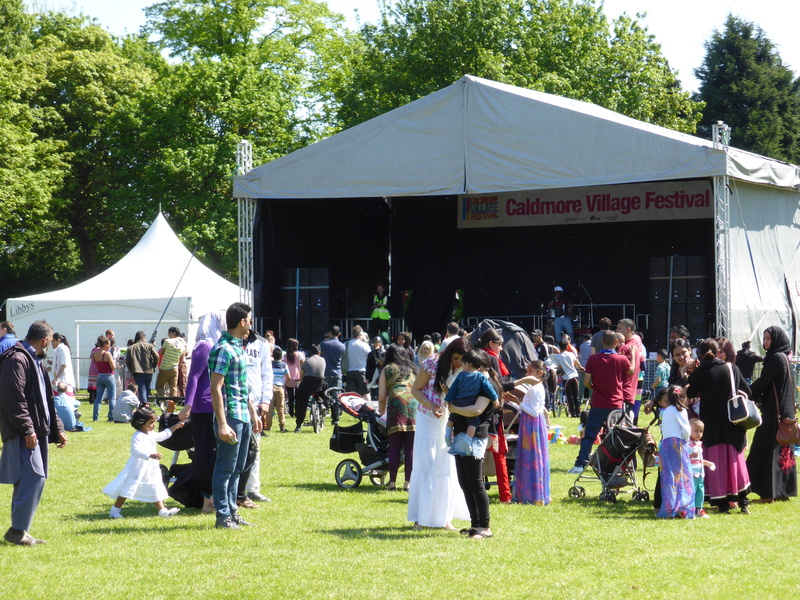 That’s the 24th, 25th and 26th of May 2014, and offers a host of food, fun, entertainment and music all throughout Caldmore, with the main event held in Palfrey Park. This is a great chance to see the best of a fascinating and diverse area of Walsall, so if you want to experience the finest stuff that a massively multicultural community has to offer, please do pop along. There will be great entertainment there for the whole family. Last year, they welcomed my bike, too, which was a bonus after 2012, when they – er – didn’t. If anyone has any local events they’d like plugging this weekend, please do drop me a line. If you pop along to any local shindig this weekend, why not take a few snaps and let me know how you enjoyed it? Mail me: BrownhillsBob at Googlemail dot com. A great event – be there or be square! Those magic words – Aziz Ibrahim and Dalbir. They make my heart Singh. This entry was posted in Environment, Events, Fun stuff to see and do, Local Blogs, Local media, Local music, News, planning, Reader enquiries, Shared media, Social Media, Spotted whilst browsing the web, Walsall community, Walsall Council and tagged 2014, 24, 25, 26, a taste of Caldmore, Aziz Ibrahim, Caldmore, celebration, Dalbir Singh Rattan, diamond jubilee festival, Events, Facebook, food, local blogs, May, music, Palfrey Festival, party, planning, things to see and do, Village Festival, Walsall, Walsall Council. Bookmark the permalink.